It has been a little while since my last post. I was busy being a diligent Master's student and then I got sick. Influenza cupcakes anyone? I didn't think so. 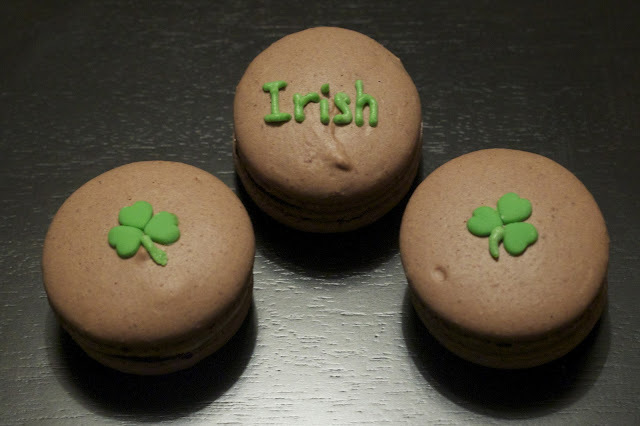 I am happy to be back in the kitchen and just in time for St. Patrick's Day! One of my favourite cupcake recipes are the chocolate Guinness cupcakes with whiskey ganache filling and Bailey's Irish Cream frosting that I made back in December as part of my holiday baking. These cupcakes are based on the not-so-politically-correct beer cocktail - the Irish Car Bomb. This drink involves dropping a shot glass of Bailey's Irish Cream and Jameson Irish Whiskey into a glass of Guinness. Since I have been on on a bit of a macaron kick, I decided to combine these glorious (but perhaps offensive) flavours into a macaron, but with a softer, less offensive name. I give to you....the MacaBoom! (patent pending). Each time I think about making macarons, I go through a bit of an internal battle - French method - Italian method - French method - Italian method. In the world of macarons, I guess you could ask the question: What would Pierre Hermé do? Pierre Hermé is a French pastry chef well known for his macarons. He has a beautiful book that is worth a peruse the next time you're at the bookstore. Since I do not own this book and it's a bit of a financial commitment at about $50 (you better love the art of the macaron), I decided to search online to see if any of his recipes were available. It turns out that he uses the Italian meringue method. I decided to continue my research with a more hands-on approach. A few weekends ago I went to one of my favourite Toronto patisseries and picked up a few macarons. I also asked what method they used - French. 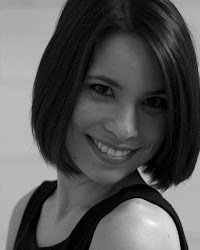 The macarons were delicious - so once again, French it is! One day I may be convinced to try the Italian Meringue method - just to compare. 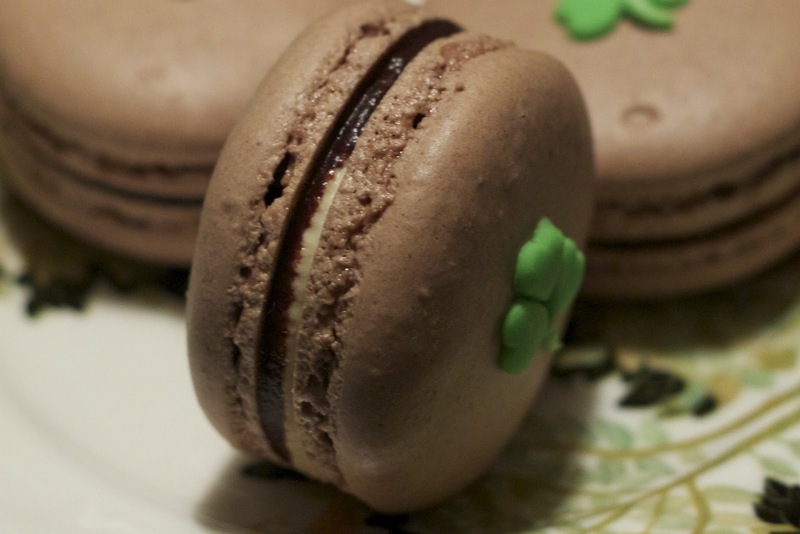 These macarons feature a chocolate macaron shell, a stout and whiskey chocolate ganache, and Bailey's frosting. I went with a frosting versus my usual swiss meringue buttercream simply because I did not have any leftover swiss meringue buttercream and it is easier to make a small quantity of frosting. This frosting is very sweet and so is the macaron shell, so I decided to use a dark chocolate for the ganache to offset some of the sweetness. For the shell, once again I ground whole, unblanched almonds using my coffee/spice grinder and this time I used leftover egg whites that I had stored in the freezer vs pasteurized egg whites from a carton. My previous decisions to use pasteurized egg whites was simply because I had them leftover from making swiss meringue buttercream for a cake. If the eggs are not going to be cooked as when making buttercream, it is safer to use pasteurized egg whites. Some people believe that you don't get as good a volume as compared to freshly separated egg whites but I've never had a problem. If you plan on cooking your egg whites as is used in meringue based cookies/decorations, egg whites frozen from fresh are fine. Egg whites can be stored in the freezer for up to 4 months. I freeze them in mason jars and label them with the number of egg whites and the date. I thaw in the refrigerator overnight and then let them sit on the counter to come to room temperature before using for macarons. I was trying to think of a way to incorporate the Guinness into the MacaBoom. Since the shells are so finicky that didn't seem like a successful option. Then I came across the show Sweet Genius while channel surfing one evening. One of the surprise ingredients was stout and one of the chefs mixed it with chocolate. This chocolate ganache filling is made with 3 oz dark chocolate, 3 tablespoons of heavy cream (35% M.F. ), 1 teaspoon of butter, 1 teaspoon of Jameson Irish Whiskey (I may have added a little bit more as I had a spilling situation while pouring) and 2 teaspoons of Guinness. The taste of the alcohol in the ganache is not too prominent but it's the thought that counts! The Bailey's Irish Cream Frosting is from here. I halved the recipe and put 2 generous (overflowing) tablespoons of liqueur in it. To assemble, I piped a generous dollop of Irish Cream frosting on one half and spread a small amount of ganache with a dessert spoon on the other half (a little goes a long way with the ganache). 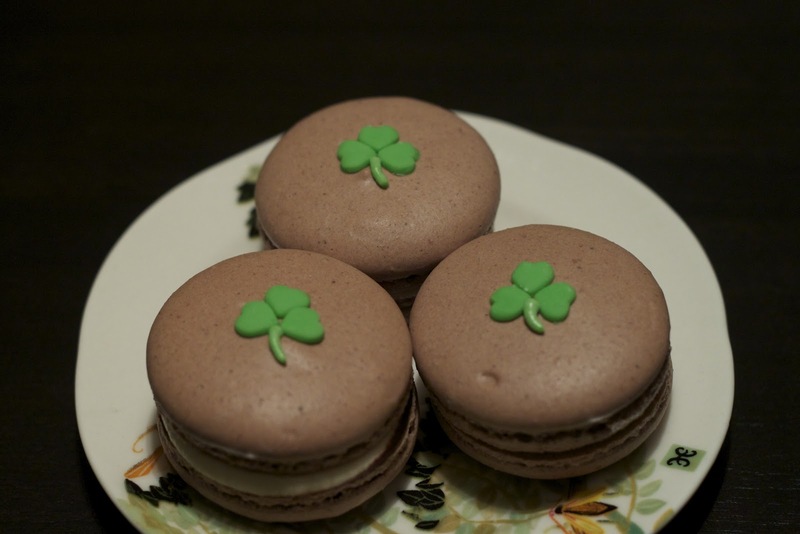 The macarons are decorated with little fondant shamrock decorations made with hearts.